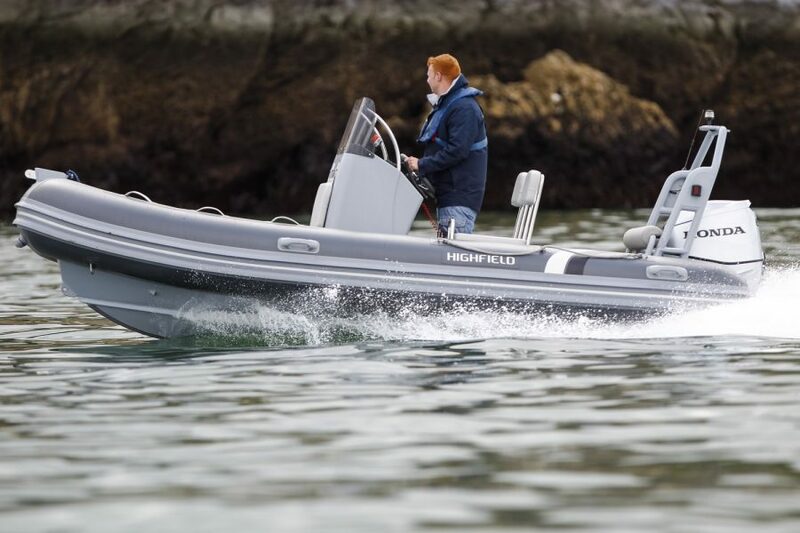 Aluminium hulled Highfield Ocean Master 460 with Honda BF 60 outboard and console plus plenty of seating. 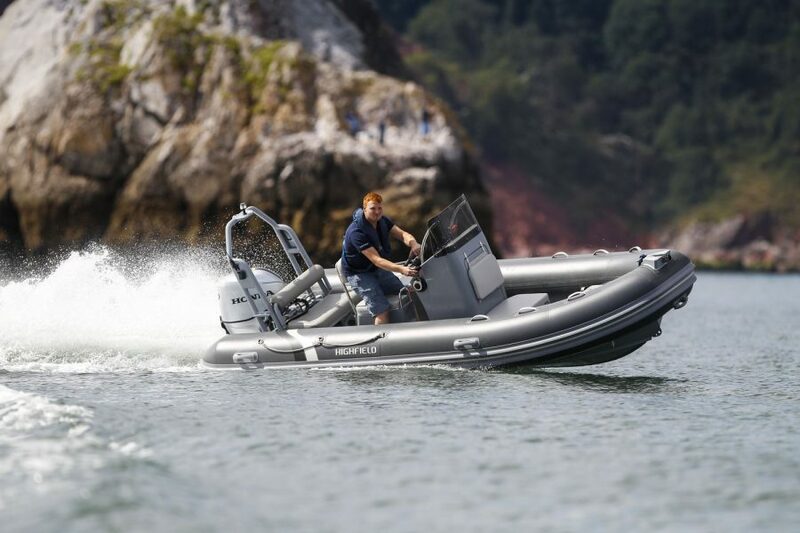 The Ocean Master range has been engineered to be the toughest, most capable and seaworthy RIB on the market today - designed for UK waters and built to last. 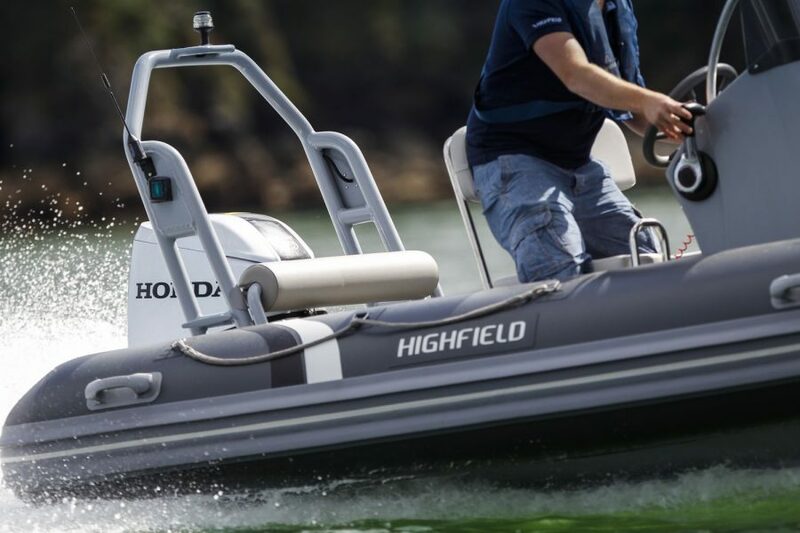 With the tough, non-porous qualities of the aluminium hull there’s no need to worry about getting gelcoat chips, or putting the boat on a beach or a trailer. Your Ocean Master’s floor won’t delaminate over time, retaining its agile performance and weighing the same in 10 years time as the day it left showroom! Complete with Highfield dry bag, foot pump and repair kit. 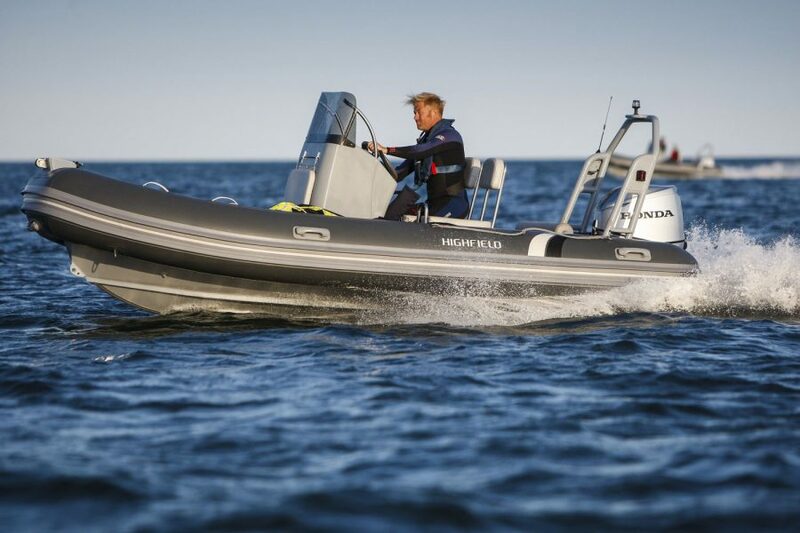 All Ocean Master RIBs are easy to tow, easy to launch and easy to recover. Valmex PVC tubes - diameter: 47cm (19"). Air chambers: 5. Non-slip, self-draining deck and a 20º dead rise. 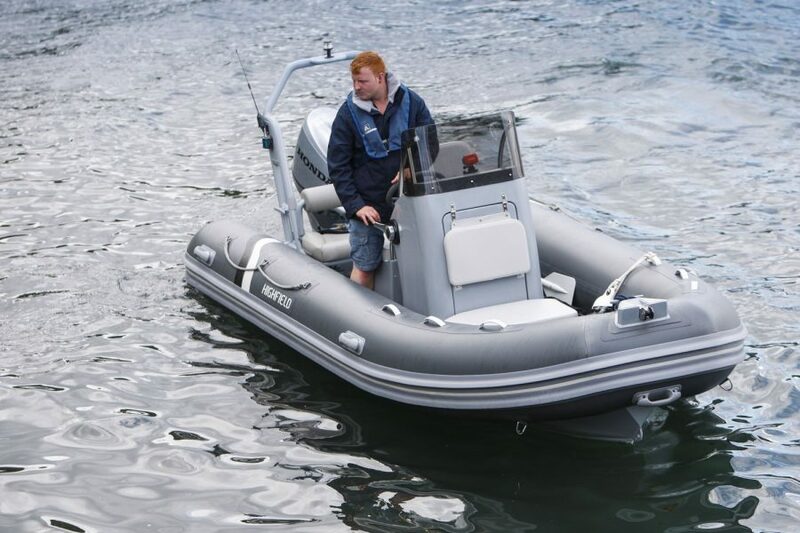 4mm thick powder coated marine grade aluminium hull. Flush mount non-return valves. Bow step with mooring cleats and roller. Bow locker with seat cushion. Lifting points and towing eyes. Inside length: 3.65m. Inside width: 1.08m. Maximum load: 901kg. Maximum people: 9. 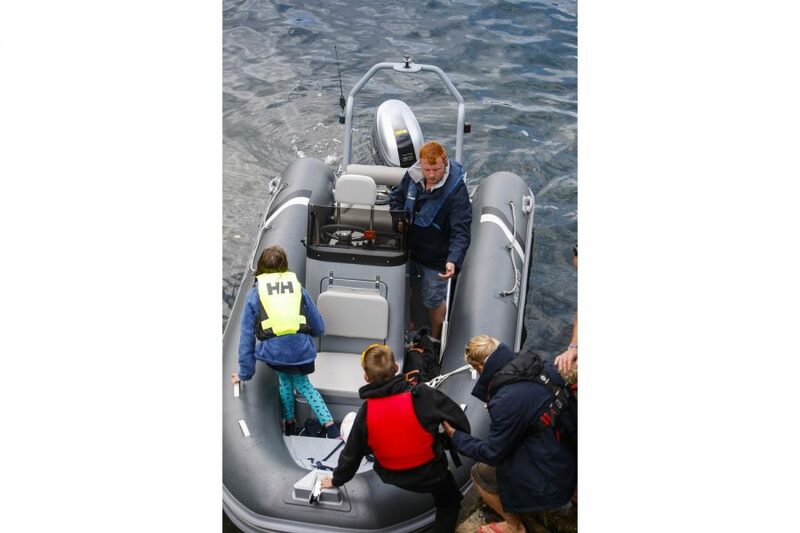 High quality and high specification RIB. Stand up console with forward seat. Bolser helm seat or 2x single jockey seats. RS1000 FRP bench seat. 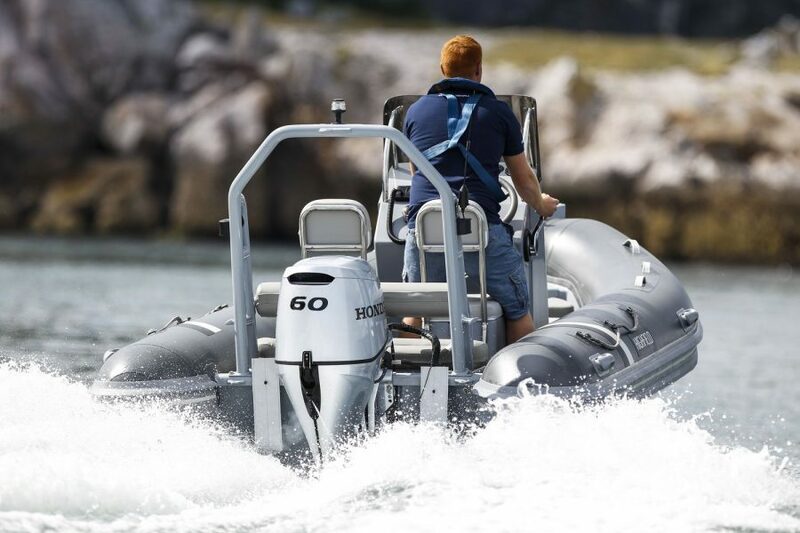 Honda BF 60 LRTU outboard with remote control and mechanical steering. Internal under-deck fuel tanks. Fuel capacity: 45L. Trailer not included in price. 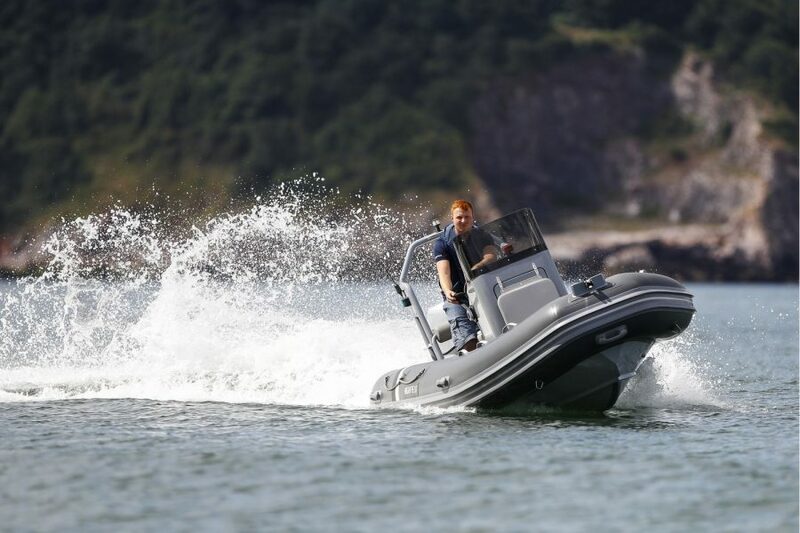 Morgan Marine can supply a suitable road trailer or trolley - please contact us for options.